In the field of architecture, industrial design has really taken off in the past few years. Modular prefab housing has finally gone into mass production through the use of reusable materials such as shipping containers. Sander Mulder has taken these trends and combined them to form some very unique and innovative storage units she calls Pandora. 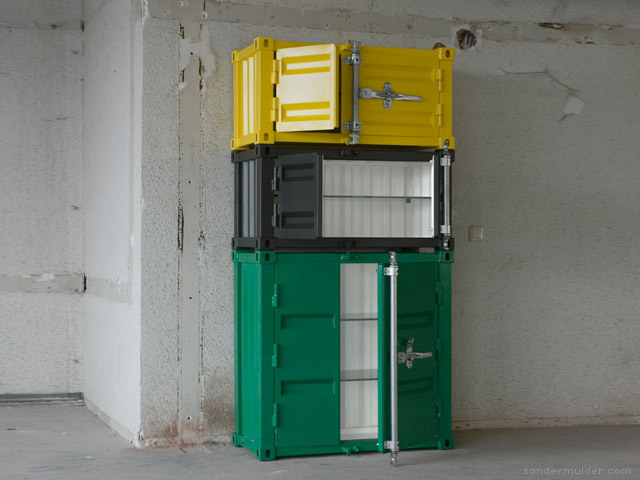 The powdercoated steel modules can be stacked, set on their side and used in multiple colour combinations, much as they appear in the docks and harbors around the world. Next Wednesday (11/19) in Los Angeles, the team behind LOST will be at MELTDOWN Comics and Collectibles to launch a new set of LOST KUBRICK & BE@RBRICK figures by Medicom Toy. It’s a world-premiere and signing event for Kubrick and Be@rbrick figures based on the show, although it’s not clear from the announcement how many new figures are being released. 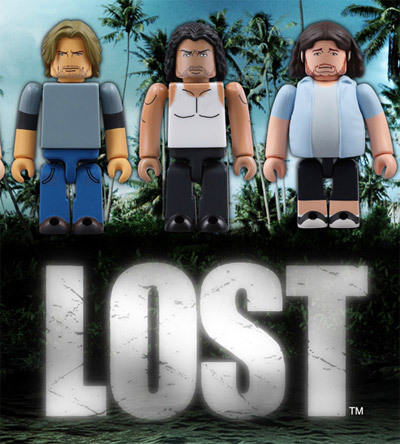 There’ll also be a one-off Lost BE@RBRICK figure, which is ten times the normal size and signed by the show’s cast and producers, which will later be auctioned with proceeds going to the Children’s Defense Fund. And there’ll be exclusive Lost art by producer Jack Bender on display. The Dutch Ministry of Finance organized an architecture competition for which a selected group of architectural offices and artists were invited. The goal of the competition was not to design a building, but the new 5 euro commemorative coin with the theme ‘Netherlands and Architecture’. As a prize, the design has been realized and is now a legal coin within the Netherlands. The Architecture five-euro coin was designed by artist Stani Michiels (b. 1973). 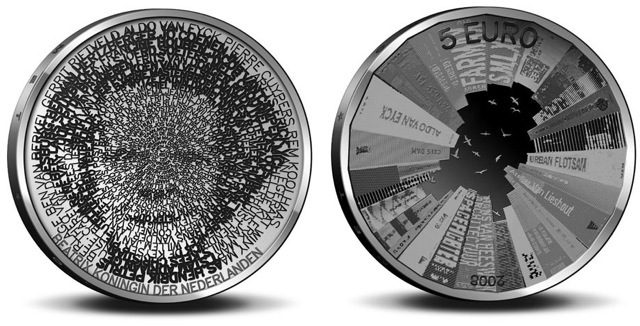 The design on the obverse of the coin pays tribute to the history of Dutch architecture, with the portrait of Queen Beatrix being distinctively constructed using the names of important architects from Dutch history. The artist used the internet as a popularity-meter to determine the names’ order of appearance. The reverse of the Architecture five-euro coin draws attention to the striking fact that many Dutch architects have also included publishing books on architecture in their professional activities. To illustrate this phenomenon, recent books on architecture rise up from the sides of the coin like buildings. Through their careful placement they combine to outline the Netherlands, while birds’ silhouettes suggest the capitals of all the provinces. Check out Stani’s blog to see how he came up with the design. In recent years, new age marketing has veered viral. It’s interesting to see how far campaigns will go to grab your attention. One of my favorites has been the original viral campaign (August 2000) Super Greg webpage (mirror) and commercials for Lee Jeans. It was purely just fun and crazy. But these days, you need some real wit and innovation behind a good viral campaign. 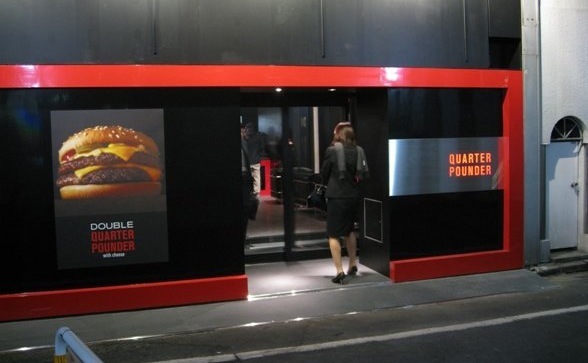 McDonalds has just recently done that with their new Quarter Pounder shops in Japan. Completely devoid of any branding, McDonald’s main intent for the Quarter Pounder shops is to promote their product as if it were new and sleek. With all black interiors the shops are designed to be very minimal. Taking note from In-N-Out, the menu is just as simple: Regular or Double Quarter Pounder sets in red and black packaging that has McDonalds shaping without the graphics. I love it, but we’ll see how this holds when people realize that it’s just McDs. Check out the Quarter-Pounder.net campaign page for more information and a map. 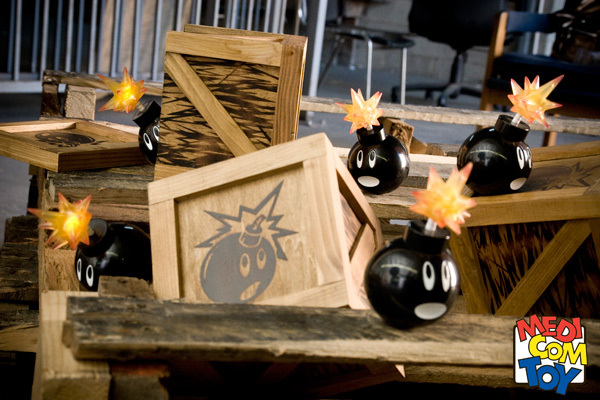 In California’s ever-growing street wear culture, The Hundreds’ Adam Bomb logo has become somewhat of an iconic image in the past year. Ever since the opening the Rosewood (LA) and Post (SF) brick and mortars, kids have been lining up for any and every release put out by the SoCal-based brand. Bobby Hundreds has attained a loyal following that’s exceedingly harder to come by as more brands emerge. He’s managed to do that by staying ahead of the game and foreseeing the trends that the culture will embrace years in advance. If you’ve done any research on global architecture within the past few years, you’ve undoubtedly come across the United Arabs Emirates city of Dubai numerous times. 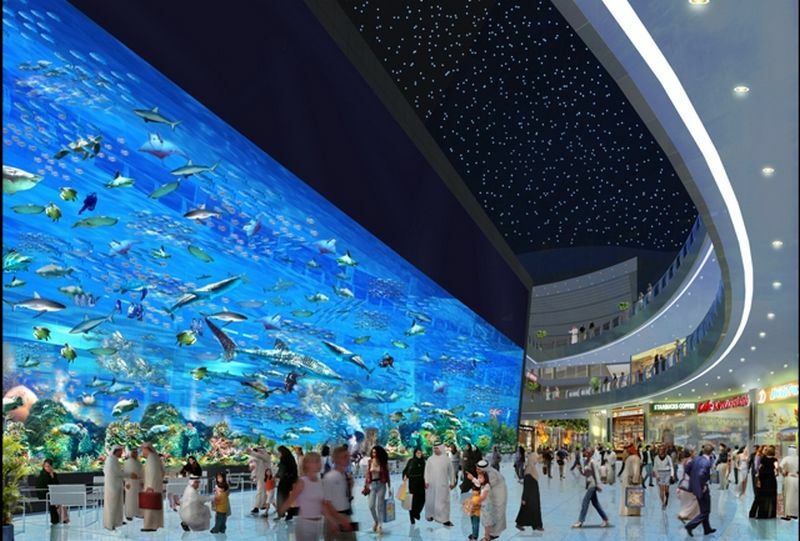 While the rest of the world’s economy is failing faster than Vista’s sales, Dubai flourishes in its exponential growth. With an estimated 25% of the world’s construction cranes, its no wonder how the list of new structures and architectural feats piles up so rapidly. 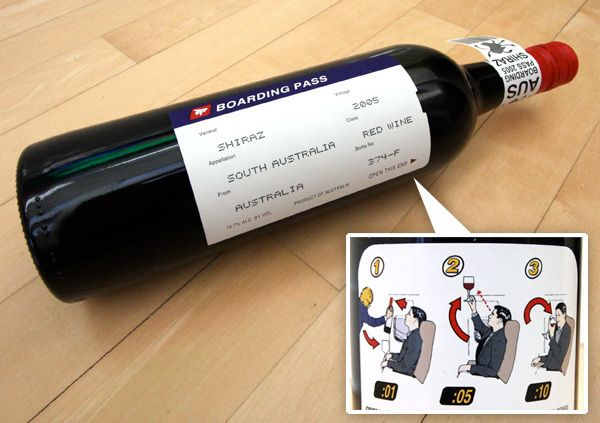 The packaging of this wine is just great. There’s no hidden messages or deep political meanings. The genius of the design is its cute, playful nature. 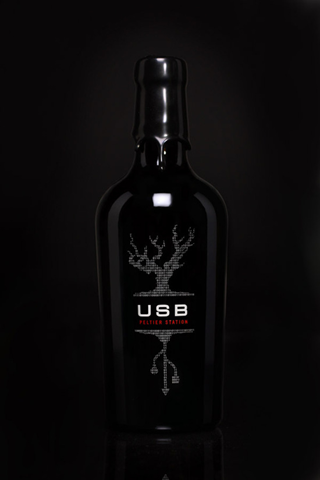 It’s created by South Australian brand, R Wines, and distributed by the very playful Grateful Palate Imports. Click here for more close up shots of the labels and illustrations. Umbrella’s tend to be boring accessories. Sure, some people have tried to add a “cute” factor by making the handle look like a duck’s head. Some have tried to put interesting designs on the fabric of the umbrella itself. 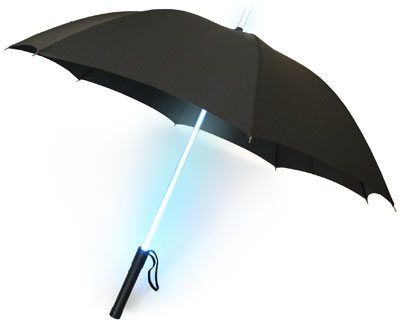 Its so simple (LEDs + umbrella), yet so delightfully awesome – and only $25 on ThinkGeek. One of the biggest problems with concept products is their wild and implausible nature of just not being practical. While “cool” and tempting, these concept designs usually never make it to production because the public just isn’t ready for it whether it’s due to manufacturing issues, being too costly, or just general acceptance. But still, designers trudge on with new innovative designs striving to gain some traction. Billy May has come up with one such design known as the Nike Hindsight. 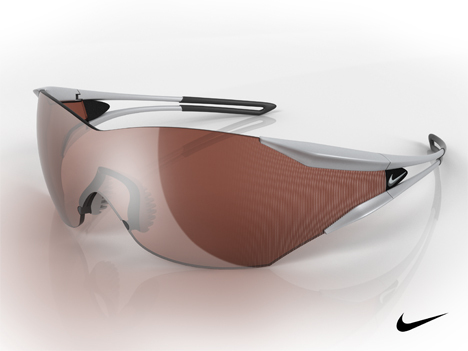 The idea behind it is to allow the wearer to gain greater field of view. They work similar to bifocals except for your peripheral vision. By using fresnel lenses on both sides of the glasses, riders can detect motion in a field of view beyond the normal human limit of 180º. If you want to get technical about it; high power, diverging fresnel zones aligned vertically distort into view an extra 25º on both sides. Vision is radically distorted in the periphery, but as the eye detects only motion in that area, little clarity is lost in the process. A rider’s clear benefit is in the early warning of approaching vehicles, but a less obvious advantage is reducing the necessary head rotation to check behind. Though it was intended for bicyclists, there’s a myriad of sports and activities where a greater field of view becomes an advantage. Hit the jump for more images detailing the design. Does your computer have a USB port like this one? I didn’t think so. Amusingly, this was designed in part as a way around the restriction that all “Ports” must have come from Portugal – so the designers wondered how they could make something be “port” without actually using that word. We built the Xhibiting Blog to showcase a personal, yet mainstream, take on fashion, technology, pop culture, music, and design.